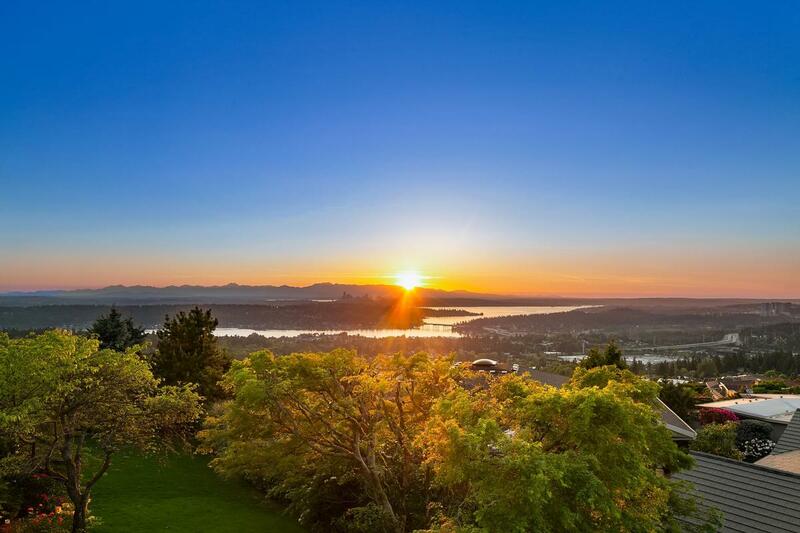 Today’s home in the Somerset neighborhood of Bellevue Washington has home with breathtaking views capturing miles of the Olympic Mountains, Puget Sound, Lake Washington, the Seattle and Bellevue skylines, Mount Baker and layers of territorial landscapes. 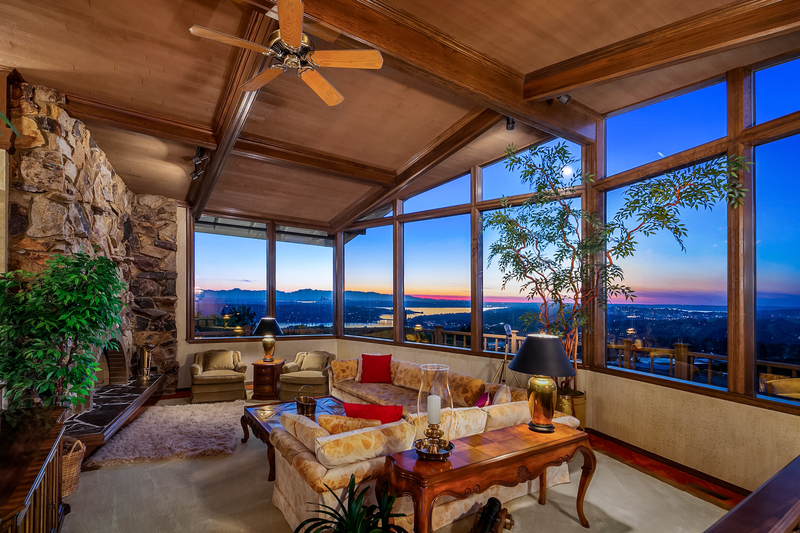 This home was built in 1971 and has a stone front with a south-facing covered entry. 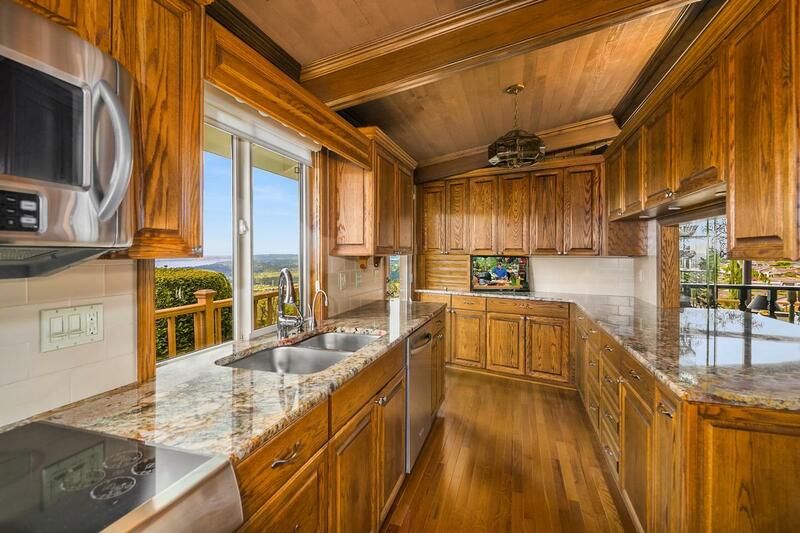 The home has a beautifully renovated kitchen with spectacular views. 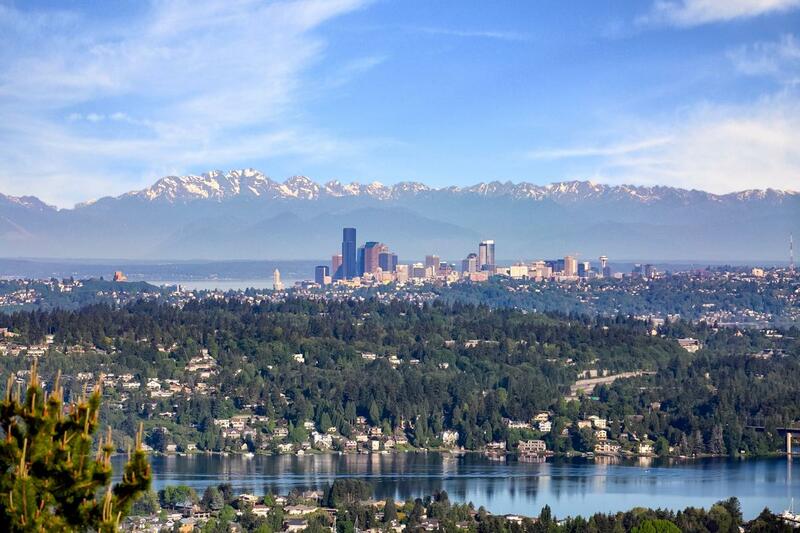 The 1425 square feet of extensive living spaces has oak beams and soaring cedar ceilings. The property also includes 1100 square feet garage spaces with two shops and storage. There is also a mother-in-law suite with full kitchen and private entry. 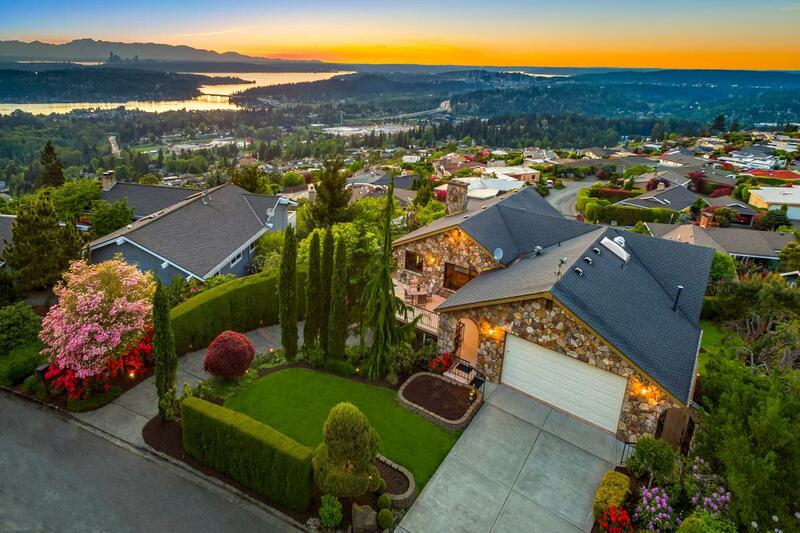 This home is listed for $2.188 million with John L. Scott Real Estate, an affiliate of Luxury Portfolio International.